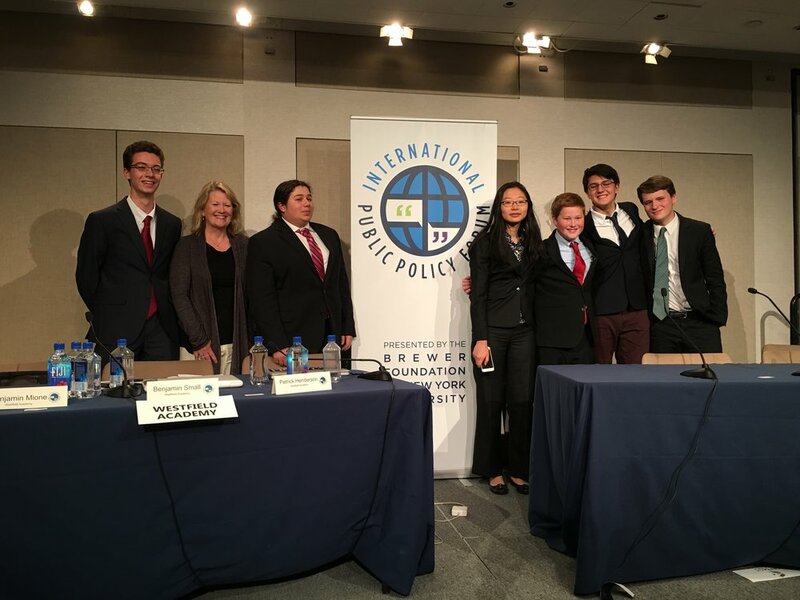 Our very own Seamus, Benjamin Small, Patrick, Aidan, Ben Mione and Sharon are the #1 High School Public Policy Forum team in the World!!! They won the $10,000 grand prize at the 16th Annual Brewer Foundation/New York University International Public Policy Forum (IPPF) Finals! 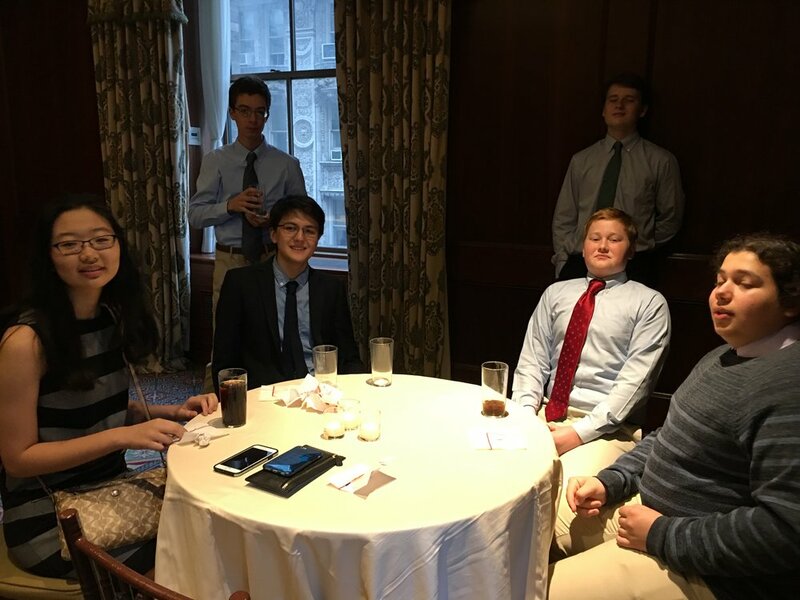 Seamus, Aidan, Sharon, Patrick, Ben and Ben began this competition along with 219 other high school teams from around the world last September to debate the resolution: The obligation to provide refugees safe haven should outweigh a government's right to control its borders. The first cut was made to the top 64 teams on the basis of a 2800 word written debate teams submitted. These 64 teams then volleyed papers back and forth in a series of debates. The field was narrowed to 32, then 16 and then the "Elite 8" was announced and invited to come to New York to orally debate the final rounds. 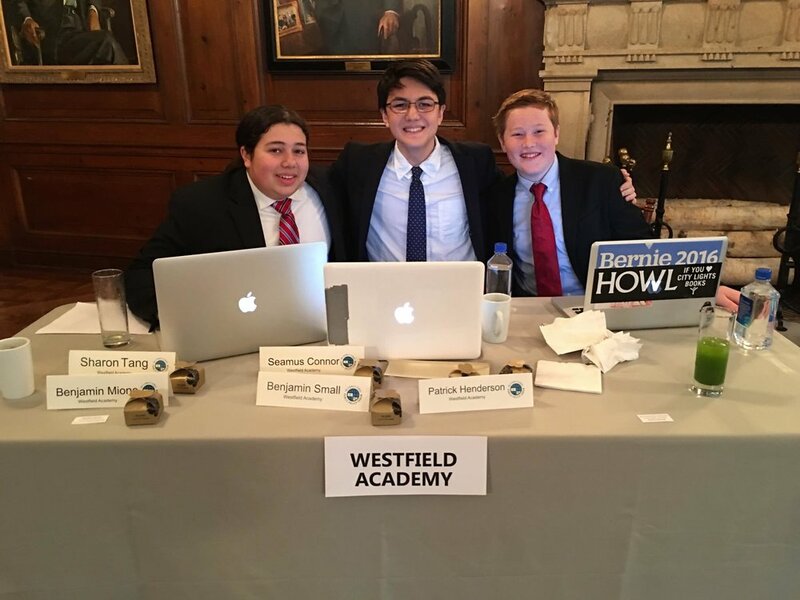 Patrick, Ben Small and Ben Mione first argued against Taiwan in the quarterfinals, against North Allegheny in the semifinals and then beat China to win the whole competition!